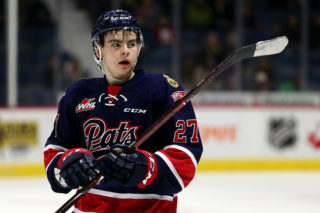 Regina, Saskatchewan – The Regina Pats Hockey Club is pleased to announce the signing of forward Robbie Holmes (’99) and defenceman Adam Sandstrom (’99) to WHL Standard Player Agreements. 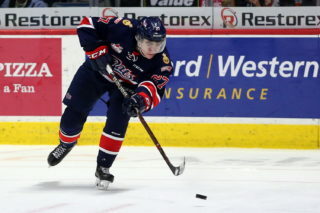 Holmes (6’2”, 170 lbs) was the Pats’ 11th round selection (232nd overall) in the 2014 WHL Bantam Draft. After an injury plagued season in his draft year, Holmes bounced back in 2014-15. The Sherwood Park, AB product finished third on the Sherwood Park Squires with 32 points (16G, 16A) while playing in 31 of 37 AMMHL regular season games. Sandstrom (6’4”, 182 lbs) was the Pats’ 10th round selection (211th overall) in the 2014 WHL Bantam Draft. 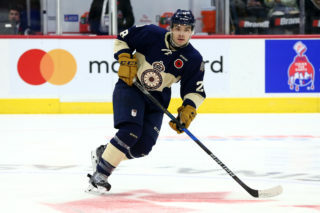 Sandstrom played in 13 games this year with the AMMHL’s Red Deer Aero Equipment Chiefs before sustaining a season ending injury. Prior to the injury, the Red Deer, AB native posted five points (1G, 4A). 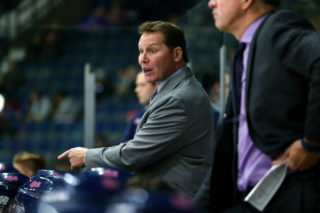 Sandstrom was back on the ice for Pats Spring Camp on May 29. The pair of signings makes the Pats’ total eight through a busy summer. The Blue and White have now signed six of the nine prospects drafted in 2014 WHL Bantam Draft to WHL Standard Player Agreements. Named for the Princess Patricia’s Canadian Light Infantry, the Western Hockey League’s Regina Pats are the oldest major junior hockey franchise in the world operating from its original location. Since their founding in 1917, the Pats have won three Memorial Cup championships and compete in the WHL’s Eastern Division. 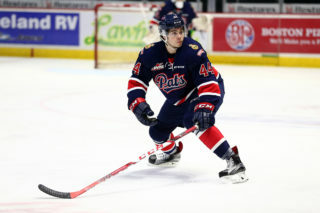 To learn more about the Pats, call 306-337-1535 or visit www.reginapats.com.